Wayne brings extensive experience and a deep understanding of the design process to his work. He believes that every brand experience is rooted in craftsmanship and detail, a belief that took shape during his formative years working as a graphic designer and typographer. 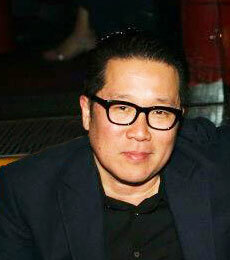 He has since directed creative across digital, video, print and brand identity for some of the world’s biggest brands. Although he’s called New York home for the last 8 years, Wayne’s roots are in L.A. Like any true Angeleno, he loves cars. He’s been fortunate enough to spend much of his career concepting, designing, directing and producing award-winning work for such major automotive brands as Mercedes-Benz, Ford, Lexus, Acura, Scion and Nissan. Wayne currently leads the Mercedes-Benz digital creative team at Razorfish.